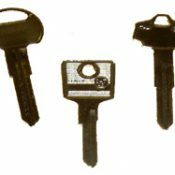 A key for Subaru cars manufactured between 1970 and 1994 cut to number or photo. Models Include: Leone, Rex, Sedan, Tigre, Justy, M70, M80, Alcyone, Hunter, Legacy, Samba Van, XT, Loyale, SVX, Impreza Turbo. A key blade to fit Subaru key remotes, cut to the locks on your car. If you have a key number, please enter it below. An emergency key for Subaru cars, cut to fit the locks on your car. This key will suit most models from 1995 onwards. Models include: B9 Tribeca 2005 on, Baja 2005-2007, Forester 1998-2003, G3X Justy 2006 on, Impreza 1996-2007, Justy 1996-2003, Legacy 1996-2004, Outback 1996 on, WRX 2000 on. 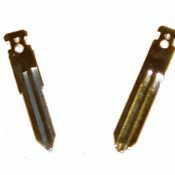 We do not use original Subaru blanks, we use high quality steel blanks manufactured by Silca. 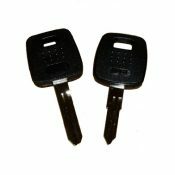 A chipped Subaru car key cut to photo or key number for cars manufactured after 1995. This key will need programming in order to start the engine.